You can get a refund if the lessons are not completed. PayPal charges are on the student. In the case you booked a package and want to get a refund the lessons you have already taken will be count as the price of an individual lesson. This is because the lesson price in a package is an offer and cheaper than an individual lesson. Example: if you buy a 20 lessons package and after 5 lessons you want to ask for a refund, these 5 lessons will be counted as individual lesson. How can I start learning Spanish? 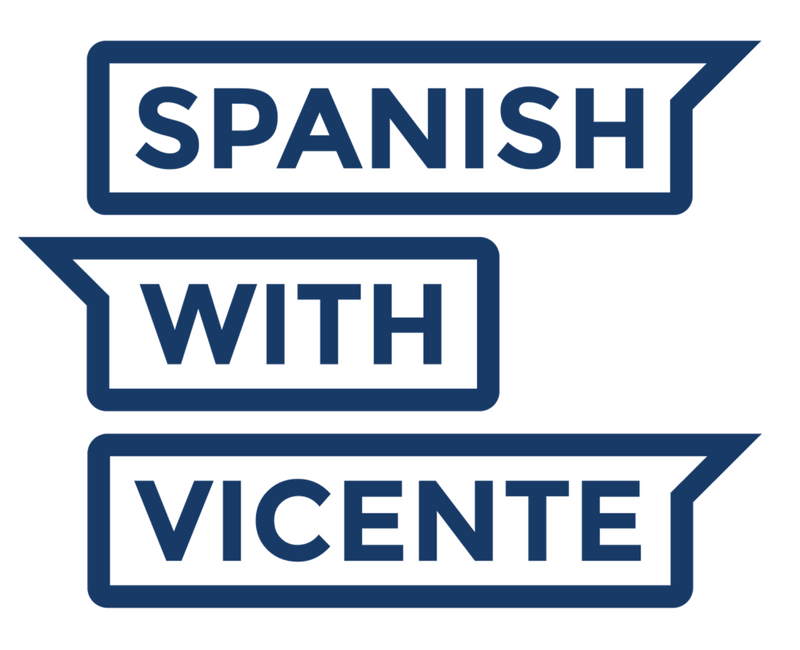 Start learning Spanish with “Spanish with Vicente” it is easy! Meet me, tell me your objetives with Spanish, I will assess your level during the trial lesson, your back ground and all I need to tailor the first lesson for you. Purchase one of the packages here. The trial lesson is designed to let the student and the teacher meet each other. The trial lesson allows the teacher the time to assess your level, any previous knowledge and any further requirements in order to tailor the lessons. The trial lesson consists on: an activity which will allow the teacher to know your level and needs and some questions about your background with Spanish. There will be some short exercises and questions to complete during the trial lesson. The aim of the lessons is to make each student more confident in their use of Spanish. We can work closely on any skill that you may struggle with for example reading, writing, listening or speaking. Notes and documents are shared throughout the lesson. Homework is offered after each session in order to help the student reinforce and practice the topics covered in that lesson., remember the lessons are always tailor to your needs. What will I need to have for the lessons? For the lesson you will be provided with online material, resources and documents. You do not need a text book, but if you want to use your own text book this can be discussed. To make a payment, go to ‘Pricing’ and select your package and then you will be redirected to Paypal where you can pay here also by credit card, if you prefer another methods like bank transfer, please, contact me. Yes, once you have choosen the package that suits you best you will then be redirected to Paypal. If you don´t have a PayPal account press the botton “Check out as a guest”, then you will be able to pay with credit or debit card. Please, to cancel a lesson contact me 24h before the lesson. See cancelation policy. What happens if I cancel a lesson? You can cancel any of your lessons 24 hours in advance without any repercussions. However If you cancel a lesson within 24 hours the lesson will be charged. To reschedule the same policy will be applied. You can reschedule a lesson with more than 24 hours in advance without any repercussions. The reason of this policy is because I plan my daily life depending on my student´s lessons. If I have a lesson planned I will be working on that and I will be ready for the lesson at the scheduled time. Getting ready for your Online Spanish lesson with me is “piece of cake” (pan comido). Just download the free software from Skype.com, create a free Skype account and you will be ready to go in minutes! Well, this depends on many factors, mainly about your enviroment, what contact do you have with Spanish, if you for example live in England and do not have Spanish friends or don´t have much contact with Spanish then I recommend you to take at least 3 lessons a week. – You can also might know me for my social profiles on Facebook, YouTube or Instagram. How long will it take me to improve my Spanish? If you’d like an estimation, however, someone starting from scratch taking 2-3 lessons a day , plus 2/3 hours of self study it would probably take you 3 months or less to achieve A1 level. But this always depends on each student.